180g black vinyl (packaged in a beautiful gatefold sleeve to keep your discs warm), plated and pressed by Furnace MFG with lacquers cut by Bernie Grundman Mastering. Includes a digital download of the album. 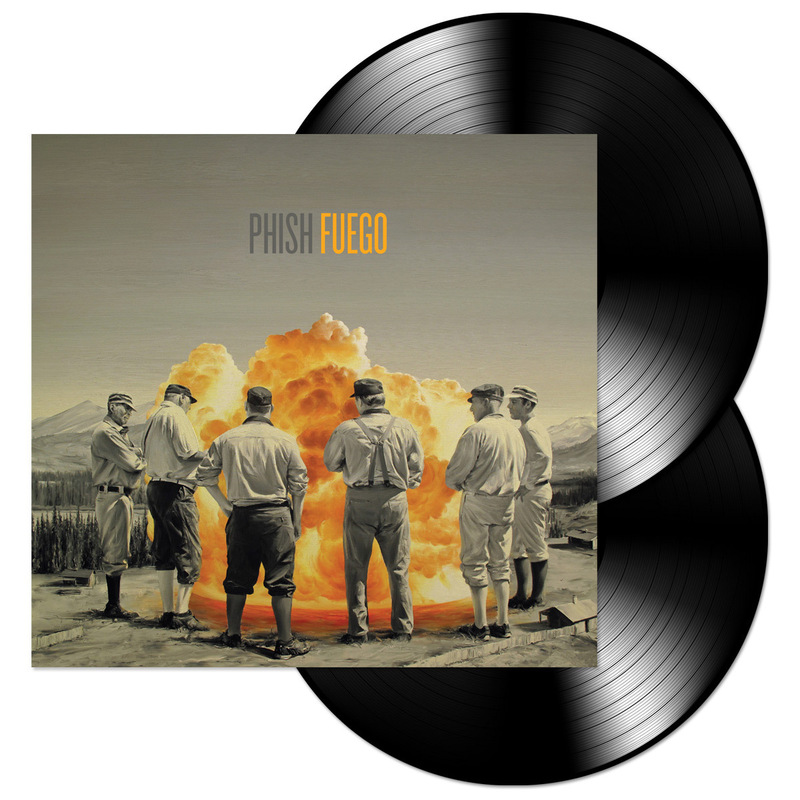 Fuego, Phish's first studio album in nearly five years, was recorded in late 2013 in Nashville, TN after a series of writing sessions at The Barn in VT and was produced by Bob Ezrin (Pink Floyd, Lou Reed, Peter Gabriel). While Fuego's ten new tracks include songs that individual members brought to the table in usual Phish fashion, the bulk of the material was written by all four, working together at The Barn.